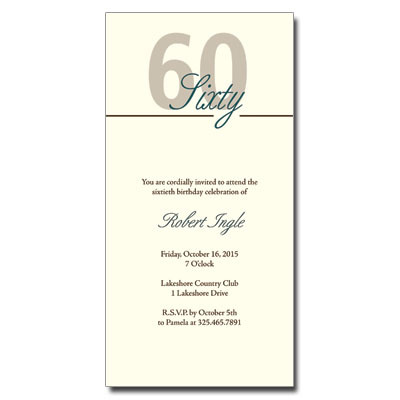 Celebrate your 60th birthday with sophistication and style with this party invitation. Your age and name are written in a classic script type and complimented perfectly with shades of brown and deep teal. Card measures 3.5x7.